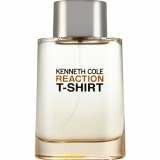 Reaction T-Shirt is composed of fruity zests of pear, apple, yellow passion fruit and water melon. A heart incorporates aquatic-floral accords, lavender, juniper berries, gin and tonic. 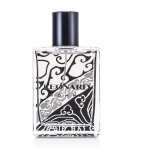 Base notes introduce cedar, sandalwood, white musk and cotton accords. It is recommended for casual wear. 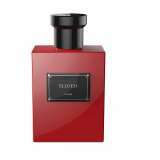 Notes: "lavender, petitgrain, lemon, water lily, coriander"